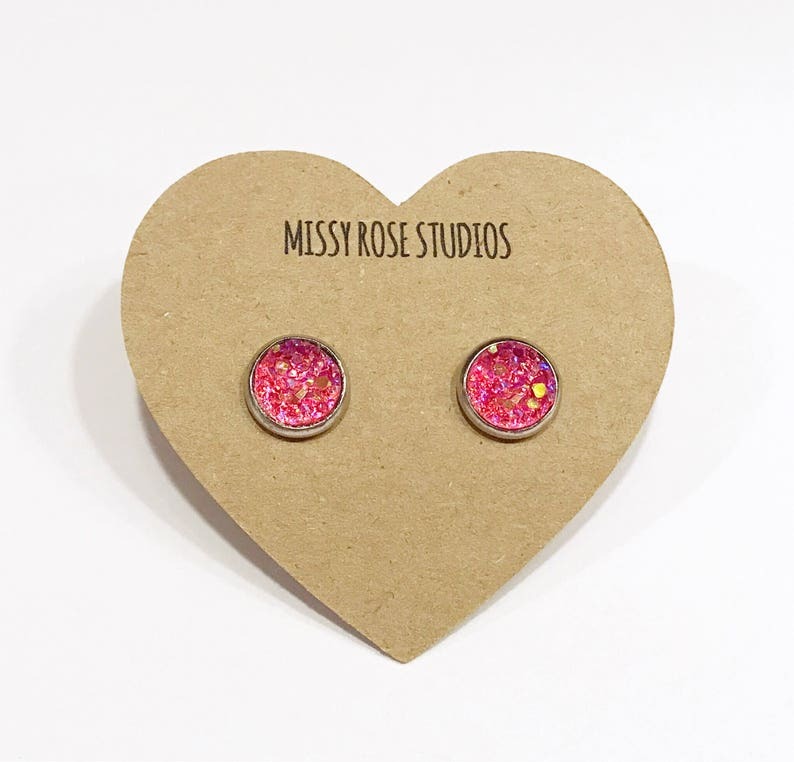 Bold hot pink druzy earrings! 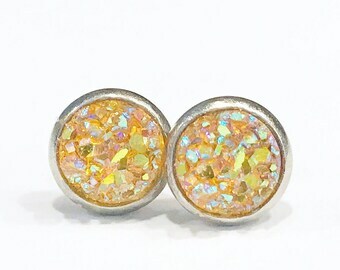 Druzy studs are faux druzy resin earrings in stainless steel settings. 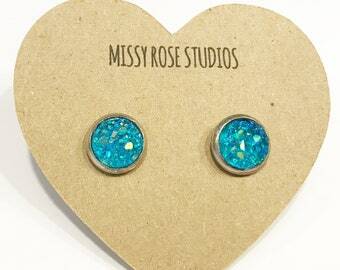 A great alternative to plug style earrings. Very lightweight and great for sensitive ears. 8mm wide is 0.31" in diameter, the size of the earring here. Comes packaged on a heart shaped earring card inside a jewelry box perfect for gift giving. Ships in 1-2 business days via first class mail normally unless otherwise specified on the site. Thank you for shopping a handmade business!